Anthropologists have long looked to forager-cultivator cultures for insights into human lifeways. But they have often not been attentive enough to locals’ horizons of concern and to the enormous disparity in population size between these groups and other societies. Us, Relatives explores how scalar blindness skews our understanding of these cultures and the debates they inspire. 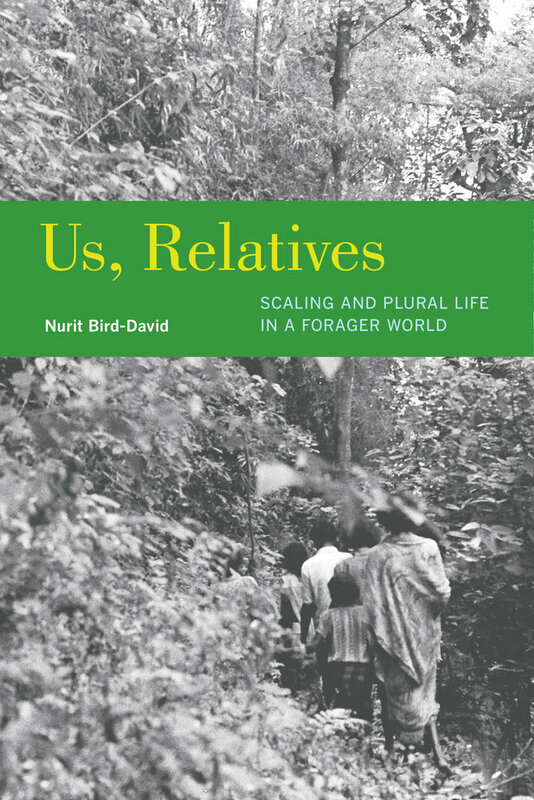 Drawing on her long-term research with a community of South Asian foragers, Nurit Bird-David provides a scale-sensitive ethnography of these people as she encountered them in the late 1970s and reflects on the intellectual journey that led her to new understandings of their lifeways and horizons. She elaborates on indigenous modes of “being many” that have been eclipsed by scale-blind anthropology, which generally uses its large-scale conceptual language of persons, relations, and ethnic groups for even tiny communities. Through the idea of pluripresence, Bird-David reveals a mode of plural life that encompasses a diversity of humans and nonhumans through notions of kinship and shared life. She argues that this mode of belonging subverts the modern ontological touchstone of “imagined communities,” rooted not in sameness among dispersed strangers but in intimacy among relatives of infinite diversity. Nurit Bird-David is Professor of Cultural Anthropology at the University of Haifa and the author of numerous articles on hunter-gatherer lifeways.